In keeping with the Monday Night Football Potluck tradition at my apartment, we had yet another potluck this week. Last week, we did what most football fans do and watched the game at a bar. So this week, we carried over some inspiration from last week and did a bar food potluck. The homemade menu included pizza, chicken strips, grilled cheese, sweet potato fries, nachos, and my contribution: Bacon Jalapeno Poppers, for which I've decided to share the halfway-homemade recipe because they were just that good. Serious party pleaser on my hands with this one. They're not even spicy, so no one can complain. 2. Slice raw bacon into small pieces. Pan-fry the pieces until bacon is just crispy, not burned. 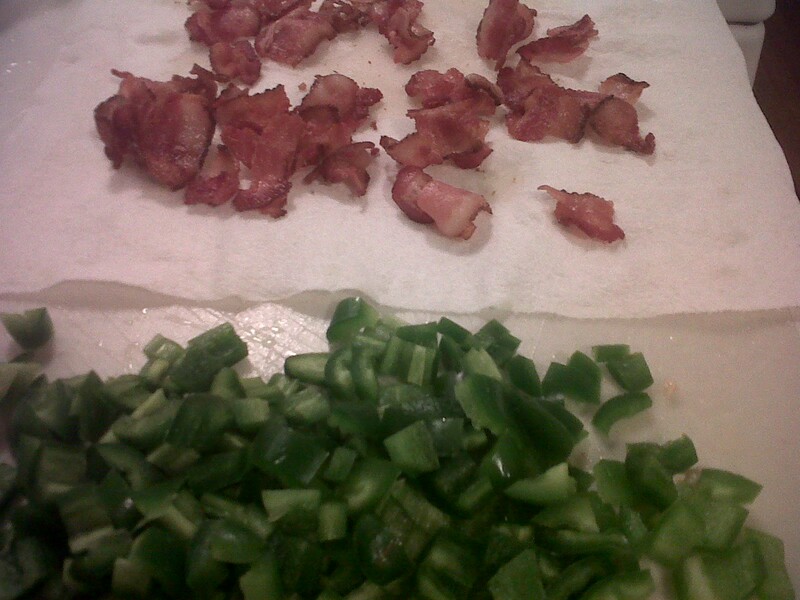 While bacon is frying, slice your jalapenos, scrape out all the seeds (unless you like a burning mouth), and dice jalapenos into very small pieces. 3. 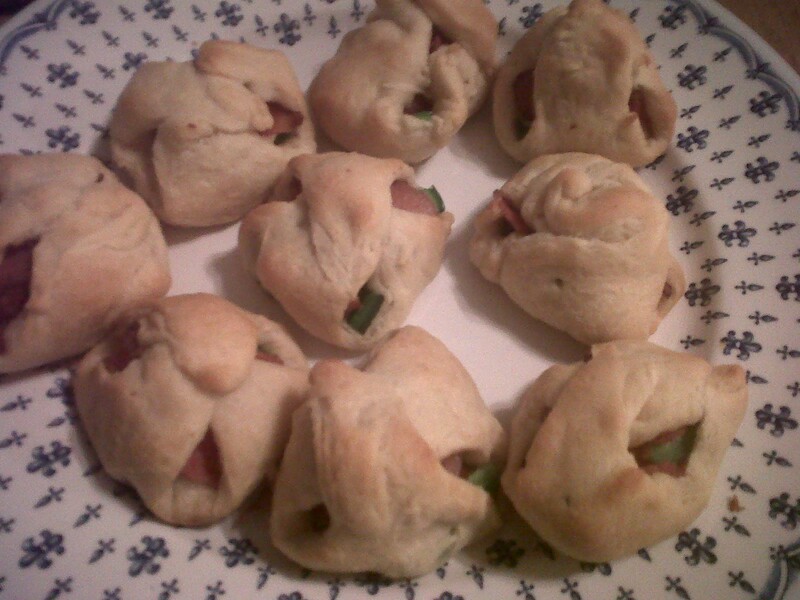 Lay crescent rolls out onto a baking sheet. There should be 8 pre-cut triangles. Cut each of these triangle in half, doing your best to make 2 even-sized halves (it's a little tricky since they're sometimes oblong triangles to begin with). 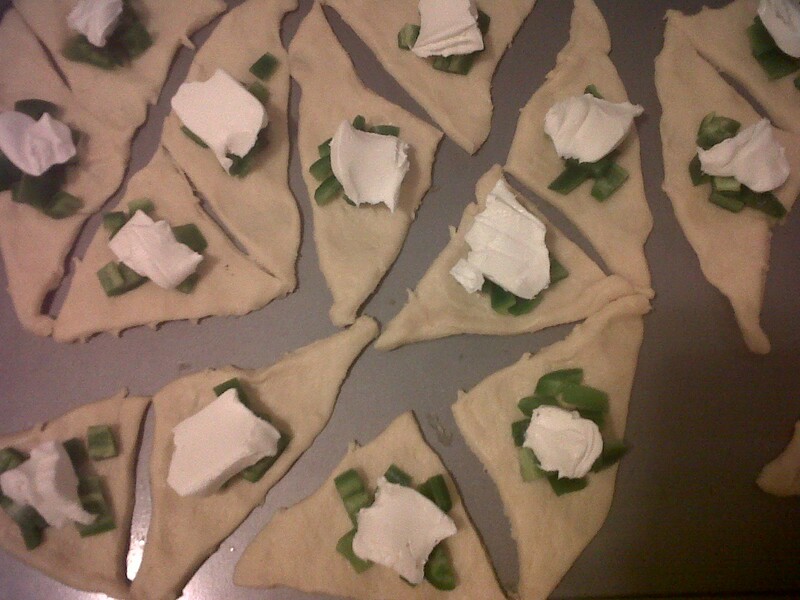 You should now have 16 triangles of dough on the baking sheet. 4. 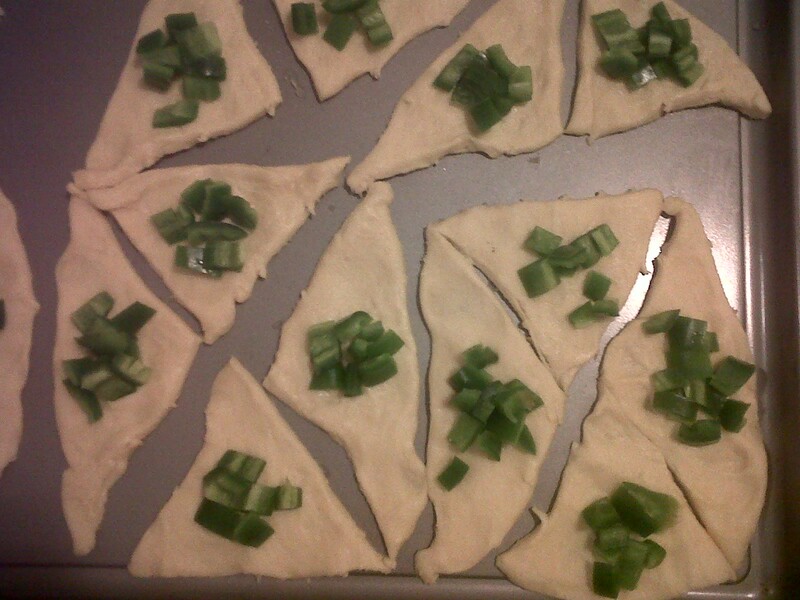 Divide jalapenos up evenly among the 16 triangles of dough. Top with about 1 teaspoon of cream cheese per triangle. 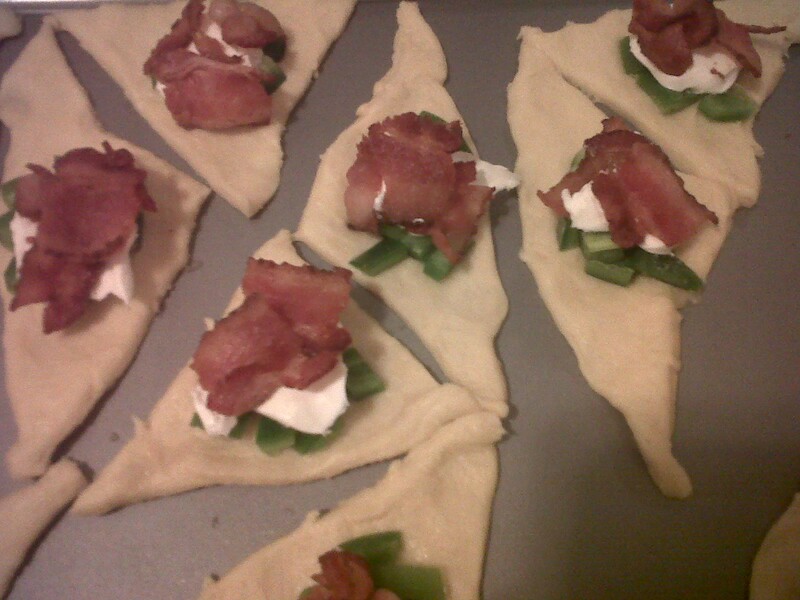 Divide bacon bits up evenly among the triangles, sprinkling on top of the cream cheese. Now wrap the edges of the dough pieces up and around the filing, doing your best to cover all the filling without breaking the dough. 5. Bake at 357 for about 12 minutes, until poppers have started turning golden brown. Remove from oven and transfer from pan to plate. Serve immediately. 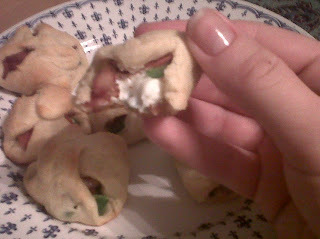 You can have fun mixing this up, using herbed cheeses instead of plain cream cheese, adding some garlic, you get the idea.